My husband's over by the corner dirty dancing with another woman. Her witch costume leaves very little to the imagination, and everyone at the party can see how much my husband desires to take her home tonight. It's humiliating to have my husband drool over another woman in public like this, but it somehow turns me on. I want her to come home with us, but am I ready to fully share my husband with another woman tonight? Matthew McKinnon worked his entire life to keep his head out of the water. But after years of struggling with men, he feels like giving up on love. The city is especially lonely in October, and his entire family seems to have everything going for them. In the city of shadows and secrets, New York, Matthew meets his stranger, a billionaire businessman. The man offers him the deal of a lifetime. The cost is his surrender to his filthy commands. The reward? A blank check. Matthew sees it as a possible change in the tone of his life, but he can’t look past the man’s rich charisma and persuasive touch. Hunter Underwood is an alpha without consequence. With his empire secure, a life of conquest no longer satisfies his needs. He is sure of one thing—Matthew is valuable, and he wants to buy his precious time. 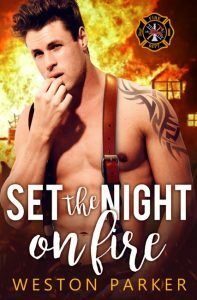 Hunter is ready to double down on his business plans, but when he sees Matthew pause underneath the bright LED lights of Times Square, he realizes he’s looking at the man of his dreams. Matthew falls into a world of pleasure and trouble as an unexpected pregnancy twists into a strong and complicated bond. A life, a real future—all of these things are in the cards if Matthew gives himself to Hunter. But there’s a catch. The game of love always comes with a price, but the temptation to lose oneself in another’s heart is almost uncontrollable. Faced with a choice over his family, will Matthew back out of the deal before Hunter takes it too far? Daddy's Home is a 45,000 word omegaverse mpreg romance that promises steam and a wild proposal. This novel contains leather action, a cute omega with a heart of gold, and a deep bond that cannot be broken. A happy ending is always guaranteed.